As 2017 draws to an end and we celebrate another year of amazing reviews and games here on JiG, I wanted to highlight some of them that were some of your favorites. Together with Jeff's help for number-crunching, we're proud to present the top 15 games of this year ranked by you, loyal readers to JayIsGames, the ratings, the number of votes and the comments you gave them. 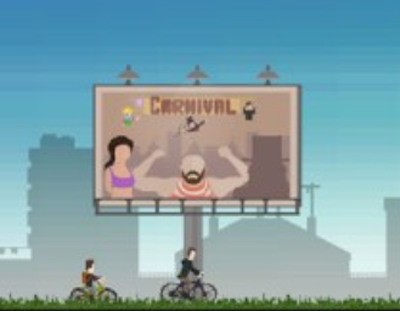 You'll find a diverse mix of different categories from indie to point and click, and of course an old favorite, escape games. So if you have a little extra time around the holidays this time of year and want to show someone a good one, or if you haven't had much of a chance and are want to get straight to the best of the best for 2017, this is an article of interest for you! Before we get into the top 15, I wanted to give an honorable mention to the highest-rated game produced exclusively for mobile, an area that's seen growing interest. The Battle of Polytopia brings you a Civilization-style feel to your Android, running quite nicely even on older operating systems. And now Ladies and Gentlemans, let's discover the Top 15 games of the year 2017! 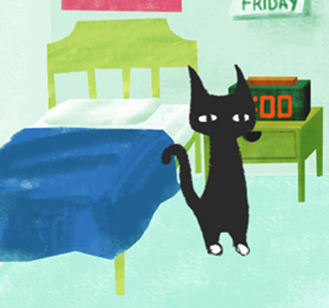 A charming point-and-click game that outlines a boring daily routine. But sometimes, in the most unexpected way, when everything seems lost and you are about to give up, life throws you a pleasant surprise. Another (much longer) point-and-click title graces our list next. 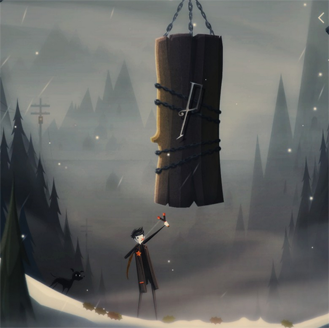 In Pinstripe, your daughter has been kidnapped by a stereotypical "evil" villain figure. Playing as the protagonist and a minister, your ambition to hold her safely in her arms cannot waver...even as dark secrets of your own come to life. The first chapter is free; subsequent are for sale by the author. Our next title, Rullo, is a familiar one that was originally featured in 2016. 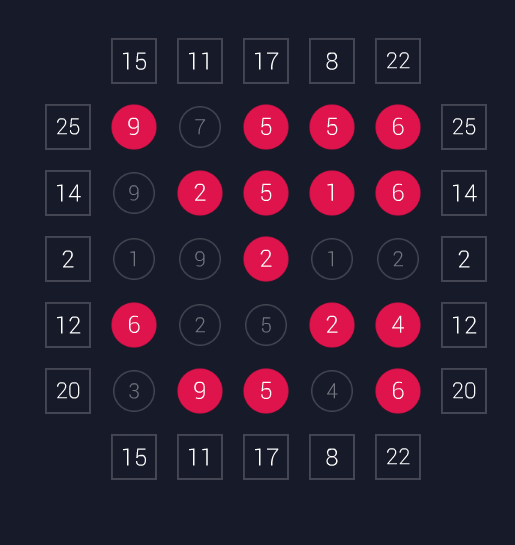 Due to some new features being added in 2017, this math puzzle game got even more exciting. You can play on your computer, but you may prefer using your mobile device to experience all the features it has to offer. 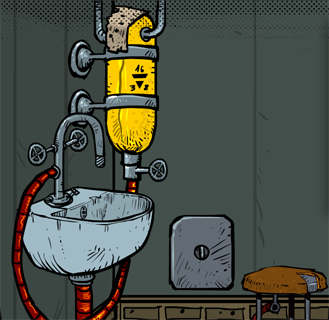 Next, bear witness to this escape game with beautifully rendered graphics and many, many secrets to seek. 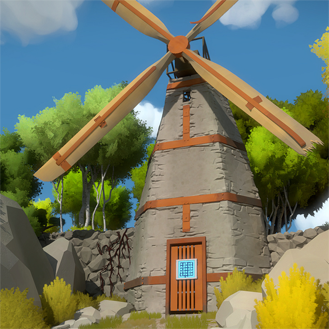 The Witness is a little pricy at $40 regular, but as of writing is available at a deep discount, or can be bundled with Braid. Moving back to a more point-and-click/narrative form, we have a narrative masterpiece in Trader of Stories. 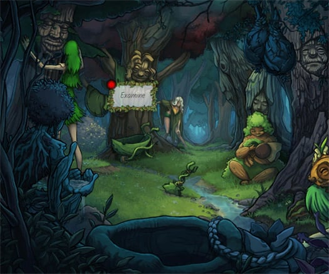 Along with other games in its series, it presents rich character development. You won't lose the forest through the trees here (pardon the pun). 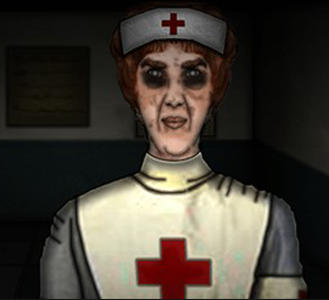 I'll warn you, if you're afraid of hospitals and nurses, this game probably won't alley any of your fears. On the other hand, if the thought of your heart racing from a good scare excites you, you'll probably find this dose of horror your cup of tea. 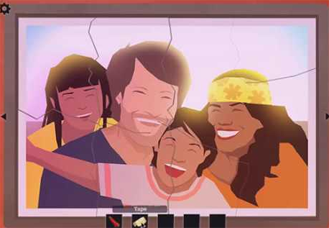 If we were going by emotional impact alone, this game would probably snipe top spot. Reading comment after comment not only on JiG but other sites shows that although dealing with a loss can be painful, keeping it to ourselves generally only increases the burden. One of JiG's favorite escape game author's, Tesshi-e, makes our list. 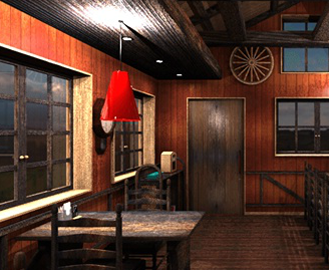 Here you have to brew a cup of coffee and escape the room. Sound simple? It isn't as easy as you might think! 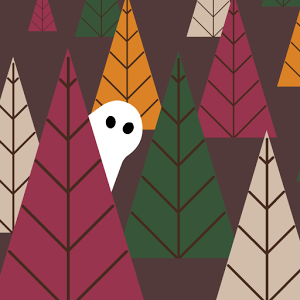 This Halloween, Bart Bonte brought us a surprise. Based on the original Factory Balls series, you'll be painting Halloween pumpkins with several different festive colors. But is it too late? No way; it's perfect if you want to have Halloween on Christmas! In case you missed it, Bart Bonte continued to charm us with his games this year, reaching his 10th anniversary. It's not a surprise that a second one would earn its way into a high place on our list. 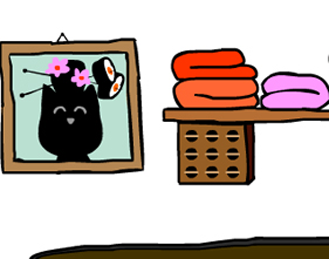 In Cat in Japan you've got to help a little kitty devour its favorite food, sushi. Groundhog day meets...cat...as you try to figure out what's going on and find an old music box. Complicating the matter, certain events are only available at certain times. You'll have to find the right sequence to solve the mystery. The creator of the popular Submachine series resurfaced after a two-year drought, releasing a short game that nonetheless has beautiful puzzles, music, and aesthetics. Treat yourself to this as a Christmas present. Capturing the bronze metal is one of La Muja's titles. 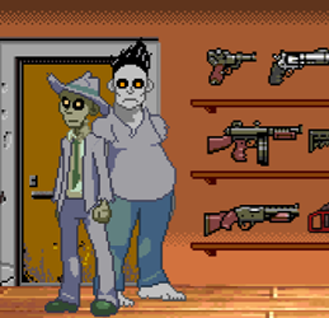 Blending detective and zombie lore, your task is to locate a vandalism culprit through reasoning known as deaductions. 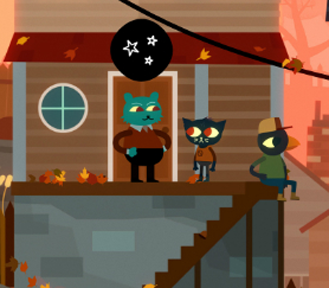 Coming in for the second spot is Night in the Woods, a game that tells a familiar story of facing the challenges of getting older. With a number of different stories and subplots, it's another possibility if you're looking to treat yourself for Christmas, currently on sale for $15 on Steam. 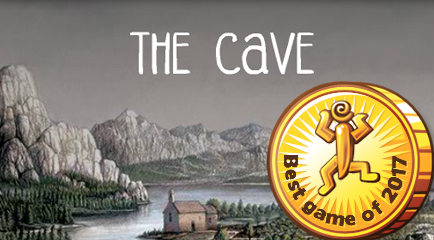 We had a new chapter of the adventure taking place at Rusty Lake in this latest Cube Escape series. The surrealist style and disturbing creepiness make this a perennial favorite, but if you missed it or simply never had time - I'd recommend putting some aside now! That's a wrap for the most popular games, as ranked by the power of your votes. What other games did you enjoy this year? Did we miss any? Do you agree with this list and ranking? While 2017 is ending, we hope to cover even more in 2018. If you want to suggest games, or might even have interest in writing or contributing on a regular basis, please send an email to dora [at] jayisgames [dot] com to get in touch. I also wanted to thank all of you once again for all of your loyal support, readership, comments, and feedback. See you next year! I take over this review to wish a happy new year to everyone at JiG. For those who are interested in how we made the list: we took the average rating of the games, the number of votes and look at the number of comments in order to appreciate the popularity of the game. For sure a game with a rating of 4.8 is a good game but we need to ponderate with the number of votes. For instance, Night in the woods ranked #2 has a 4.8 rating based on 26 votes while The Cave is close to 4.8 with 128 votes. So we found fair to rank it in first. This is a great list, and I'm excited to see it's not all escape games (and that the reviews have expanded a bit as well). Grad school has kept me pretty busy, but I'm so happy to see JiG is alive and well going in to the new year. Though I must say personally that the Trader of Stories game is my favorite entry. I loved the first game, Bell's Heart, quite a bit already when it was on Pastel Games. But I really fell in love with the story and art when I played the later two games. Gorgeous art and an exciting, immersive story! If you're looking over the list and aren't familiar, that is one game I highly recommend! Okay, now, if we're going to include 2016 games ("Rullo" and "The Witness"), I'm going to insist on some love for "Obduction". "Myst" was the beginning of the point-and-click obsession for many of us, and Cyan's newest not-really-a-sequel satisfied an itch we've been SO longing to scratch for years. Escape games are the logical children of the point-and-click genre, but they can't hold up to the majesty of a game like "Obduction". The game is gorgeous, it has an engaging plot, there's an enormous game world to explore, and the puzzles often give you that awesome "oh, so THAT'S how it works!" epiphany we all love. I definitely give props to "The Witness" for some truly clever moments (Easter eggs galore in that one), but "Obduction" personally brings me back to my original love in so many ways.